Tony Blair readily admits he should have been more radical and audacious in his early years when he was unassailable. 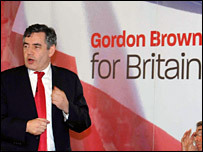 It is a lesson Gordon Brown appears to have learnt well and, as his approach to Lord Ashdown to join his first Cabinet has shown, he does not look likely to repeat his predecessor's mistake of extreme caution. It is a pretty fair bet that there will be more shocks to come from Mr Brown when he finally takes over from Mr Blair on 27 June. Whether this particular episode has worked in Mr Brown's favour is not so easy to judge, however. There is some real resentment in Labour ranks at Mr Brown's apparent attempt to revive bits of the old Blairite "project" - re-branded as the politics of all the talents. And many senior Liberal Democrats have reacted furiously, claiming Mr Brown was attempting to stitch them up and was offering a glimpse of the underhand way he was planning to run government. There is any amount of speculation over what really prompted this job offer to Lord Ashdown, and who leaked it to the media. Was it a case of Mr Brown being as good as his word and trying to end the old party tribalisms in favour of attempting to genuinely forge a government of all the talents? 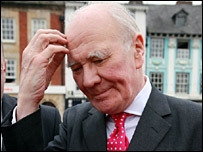 Or was it all a deliberate plot to destabilise Sir Menzies Campbell's leadership of the Liberal Democrats and divide the party, large parts of which are fiercely opposed to any hint of deals with Labour. It was, for example, noted that the offer to Lord Ashdown came privately and after Sir Menzies had slapped down the notion of any of his team accepting ministerial jobs. 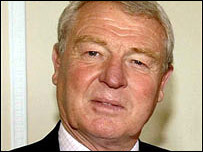 This suggested to some that Mr Brown knew Lord Ashdown would either have to remain loyal and refuse the job, making it appear he was not interested in cooperation, or take it and cause huge ructions in the Lib Dem ranks. The end result looks to some like a snub to Mr Brown and may even be seen as a setback for his government of all the talents. Many loyal Labour Party members will be incensed by the very notion of bringing an opposition party member into the Cabinet, or anywhere else. Ministers about to get the chop - and there may well be a few of them - may not be too delighted at the prospect of losing their jobs to a Lib Dem either. There will be those in the party dismayed by what they see not as the birth of a "new politics", as Brownites say, but a return to the days of "the project". Meanwhile, Sir Menzies will need to steady his party and avoid splits over this issue. Not an easy job for a leader already struggling to maintain his position. But the strength of the anger from his benches suggests the arrows are currently being aimed at Mr Brown rather than Sir Menzies. None the less, the issue has again highlighted that division at the centre of the party over whether they should be looking at deals with Labour of the sort which have worked in local councils and in Scotland and Wales - something many believe Sir Menzies favours. Or, as others believe, should they not touch Labour with a disinfected barge pole. That argument is now once again raging in the Liberal Democrats and it is one Sir Menzies could well do without just at the moment.